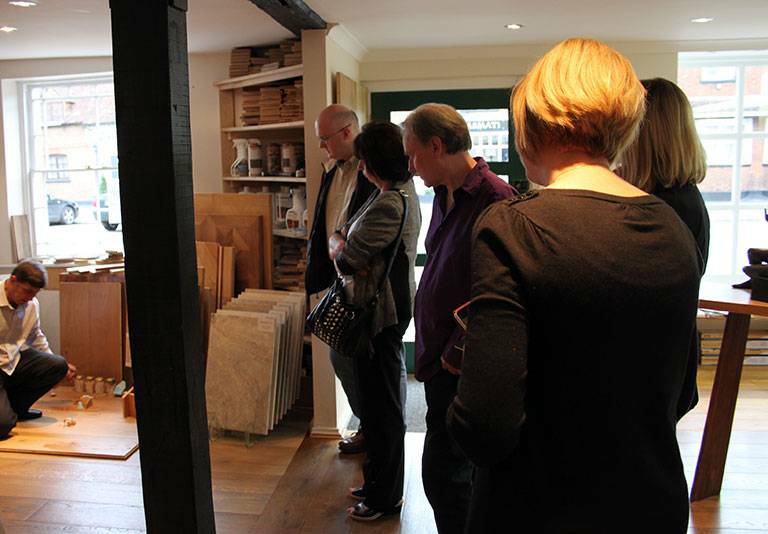 Woodcraft Flooring was born in the UK in 2005. A family business, it is headed today by father and son Mursel and Granit, but the company’s history can be traced back to another family-owned business that began in Kosovo, 1964. Mursel’s family have worked with wood for generations. As a child in Kosovo, he and his brothers were responsible for gathering fuel for their family, and at ten years old he was proficient with a chainsaw, using it to fell trees and turn them firewood. In his teens, he joined his father and uncles in the family wood working business, which supplied timber from Kosovo’s native Beech and Oak trees for home building and other local enterprise. At that time, use of machinery was still fairly limited and so much of the shaping required was done by hand, using time-honoured techniques. The business initially provided wood – cut to order – to be used in roofing for houses and barns, but soon grew to offer hand made doors, windows, and bespoke wood panelling. Mursel and his father worked on the design and creation of decorative interiors for the traditional ‘Oda’ (rooms used by village elders to discuss important matters), covering each room’s walls and ceiling with hand-carved wood panels, inlays and other features to create a distinguished space. Each Oda would be an intricate and unique labour of love, with all wood measured, cut, finished and fitted on site. Mursel’s family business was a part of the traditional wood-working industry in Kosovo at a time before modern construction processes were used. The business adopted new technology as it came along in order to work wood faster and more efficiently, but the advent of plastic moulding saw much of the demand for traditionally-made doors and windows disappear. After war broke out in Kosovo, Mursel came to the UK in 1999. He initially worked as a carpenter in the construction industry, then for a number of flooring companies, before founding Woodcraft Flooring in 2005. The business is already the embodiment of a lifetime’s worth of expertise and experience, but Mursel continues to broaden his understanding of woodwork. Today, if he’s not managing an installation, you’ll usually find him in the workshop, experimenting with new techniques to striking finishes that enhance the natural beauty of wood – especially his favourite, Oak. Like his father, Granit has grown up seeing wood being hand crafted. At seven he was already picking up off-cuts and sweeping the floor, and as he grew older he inherited Mursel’s wealth of knowledge and experience. He was soon able to make tables and chairs from wood, then decorative and artistic objects, before discovering that he had a particular talent for wood restoration. Now in his twenties, he already has fifteen years’ industry experience and is also a part-qualified ACCA accountant. Today Granit handles some Woodcraft installation projects as well as the company accounts. He shares Mursel’s love of wood and is always looking to broaden his knowledge and understanding of techniques to both finish and preserve wood. 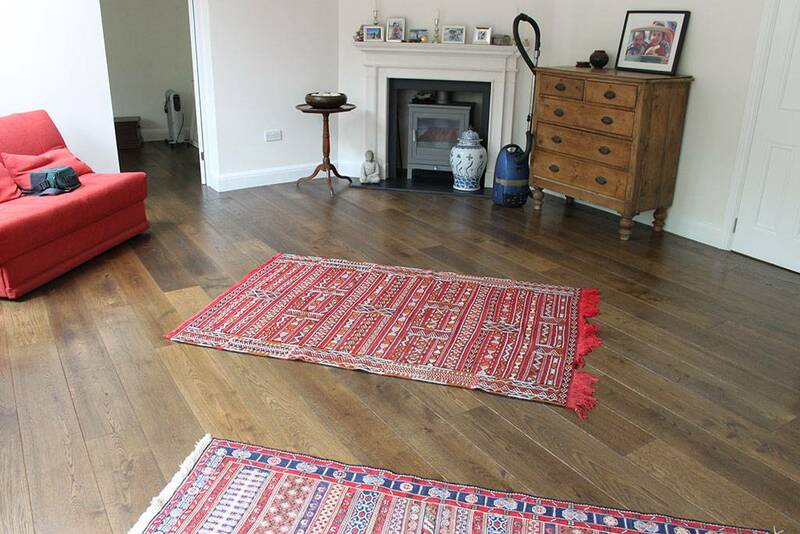 Apart from Mursel and Granit, Woodcraft can call on the talents of four other tradesmen, all trained by Mursel and all with more than ten years experience in wood flooring. Modern technology has brought many advantages to the flooring industry, from improved glue formulas that create stronger plywood, to the machines and presses that quickly and efficiently cut wood and shape it into planks. Our European suppliers utilise cutting edge techniques to bring us high quality timber planks, ready to be oiled and installed as a wooden floor. What sets us apart from our competitors is what we can do with that raw product. Many companies will oil your wooden floor. Woodcraft can offer you over two hundred different colour finishes. We create new ones all the time (we’re often asked by interior designers and architects to match their desired colour scheme), and the exact methods used to achieve each finish are a carefully-guarded trade secret known only to ourselves. Many companies use machines to achieve a ‘distressed’ look: their customers end up with flooring that is uniformly distressed. Woodcraft use traditional hand tools at all times, to finish each plank to your exact specifications. You can read more about our custom finishing options here. We are based in Borehamwood, Hertfordshire. Why not arrange a visit? Our showroom has over one hundred wood samples on show to give you an idea of the texture and colour variation that can be achieved. This is not a high street location: you’ll be able to see the machinery and tools we use, and watch planks being treated, coloured, oiled and distressed – all by hand. Come and see the process each plank goes through before becoming part of a Woodcraft Floor, and you’ll begin to understand our reputation for uncompromising high standards. All our wood comes from managed forests that are FSC certified (with the exception of Wenge). All planks are finished with environmentally friendly oils and lacquers. We are proud to have supplied and fitted distinctive wood floors for clients across Buckinghamshire, Essex and Hertfordshire. So far we’ve visited Ascot, Barnet, Birmingham, Cambridge, Gerrards Cross, Henley on Thames, Kingston, Oxford, Maidenhead, Milton Keynes, Portsmouth, St Albans, Potters Bar, Wimbledon, Woking – and even Nice in France. We will travel anywhere within the UK – and indeed Europe – to design and fit your perfect wood floor! 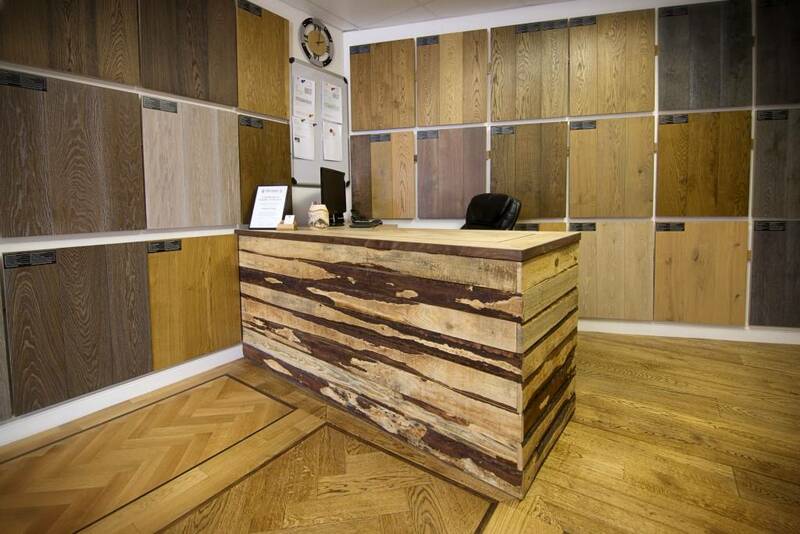 If you’re considering a wood floor for your home or business, then see how we help our clients make the right choice.